At the recent IARU Region 3 Conference in Seoul Korea, a proposal to establish the Region 3 Band Planning Committee was passed. Mr. Sion, 9M2CQC was appointed the Committee coordinator. 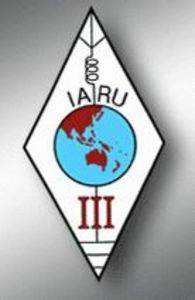 The IARU have already published the Terms of Reference for this committee. The WIA are therefore seeking expressions of interest from members who have the background and ability to participate as the Australian representative on that committee. Expressions of interest or queries should be directed to the WIA Secretary in the next few days as the timeline for nominations is extremely short.